We are gay couple Stefan and Sebastien and have been travelling in Asia for nearly 2 years. Asia is not the most gay friendly of places to visit in the world, with most countries criminalising homosexuality. So should gay couples travel to Asia? Yes, and here's why. 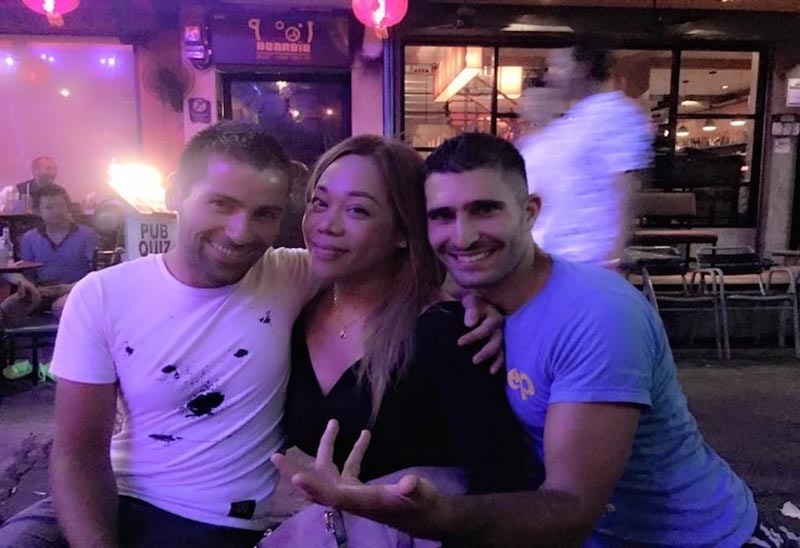 We were ourselves quite tentative about travelling there at the outset but quickly learnt that all gay couples should visit Asia, not for the sheer amount of beauty on offer, but for the positive impact you will have on the local LGBT communities. Here's our 4 reasons why we think gay couples should travel to Asia. When we visited, being gay was a criminal offence in places like Malaysia, Myanmar, Sri Lanka, India and sadly a lot more. But in reality, as a foreigner, no one wants to kick up a fuss with you. At no stage during our travels did we feel threatened or in danger for being gay. In the worst-case scenario, anti gay laws are used strategically by the police to get bribes. For example, the gay club we went to in Delhi was intervened by the police at 1 a.m. The policemen were using the anti gay laws to get a bribe from the club promoters. Everyone else was left alone and told to leave via the back door. Tourism is big business, so foreigners will be treated differently from locals despite repressive LGBT laws. In Thailand, society remains largely conservative, but they welcome gay tourists with open arms with Bangkok having one of the best gay scenes. Bali is so touristy and international that is has developed an open minded and relaxed attitude to the gay community, compared to the rest of Indonesia. As a result there's a vibrant gay presence across the island, particularly in Seminyak. Taiwan is another gay friendly destination, with Taipei Pride its biggest draw, billed as Asia's largest and most popular pride event. Japan is notorious for its small bars with hundreds in each city, particularly the gay scene of Tokyo with over 300 gay bars in the Ni-Ch?me area of Shinjuku alone. Japanese society is extremely conservative, but compared to the rest of the continent they have a far more liberal attitude to the LGBT community. The Filipinos are renowned for their hospitality, which they warmly extend to gay couples travelling in their country. Boracay island is one of the most popular gay friendly places to visit for a mix of romance and beach fun, with some places even offering Rainbow Packages for gay couples. Gay marriage is still illegal everywhere on the continent. But small steps towards civil unions are being made, led by Japan and Taiwan who each have a growing number of districts recognising civil unions. In Taiwan, the newly elected female leader,Tsai Ing-wen, even came out in support of equal marriage rights earlier this year. As a country’s government is starting to accept and recognise gay unions, it not only sends out a positive and encouraging signal to its LGBT community, but also a symbolic nod to gay tourism. Although the other countries in Asia are slow to catch up with marriage equality, small political moves by a few show a willingness to start to embrace the gay honeymoon market. For example, in Thailand the government started to draft the Civil Partnership Act laws in 2012, but it has since been put on hold due to political instability. And in Vietnam, the government recently legislated to accept gay marriages – ie, if you get gay married in the country, it won’t be recognised as legal but they will no longer arrest or fine you. It’s baby steps, but a symbolic step in the right direction. We strongly believe that we can have more of a positive impact on the local LGBT communities in countries with repressive anti-gay laws instead of a blanket ban on visiting them. The money you spend on gay friendly / owned businesses helps them flourish in a society, which is likely to be fighting to close them down or make their lives difficult. Going further, making friends and interacting with the local LGBT communities is far more effective then boycotting their country altogether. Your very presence is most likely to inspire them and encourage them to mobilise and push for equality (over time of course). In addition, when you check into any hotel as a gay couple (insisting on a double bed! ), you will be educating the locals working at reception to show them that gays are in fact just like any other normal human being. This feeling will then gradually filter back to their friends and family. Imagine you were in their shoes, would you prefer your gay sisters abroad to ignore you, or come over to embrace and support you? Actually going out there and supporting LGBT owned businesses and making friends and interacting with the local LGBT community is far more effective then boycotting their country altogether. We sure know what we'd choose! 4 Responses to "4 Reasons Gay Couples Should Travel to Asia"
Your trips are very touching. You exactly inspired me ( and people in the world, of course) with your love and confidence. Everything God makes is good, then homosexuality is good, too. You’re worthy to have a best life. What a cute couple gay! I love you! Hey, Its really so different and engaging post. Like this post from the core of my heart. Keep it up man.